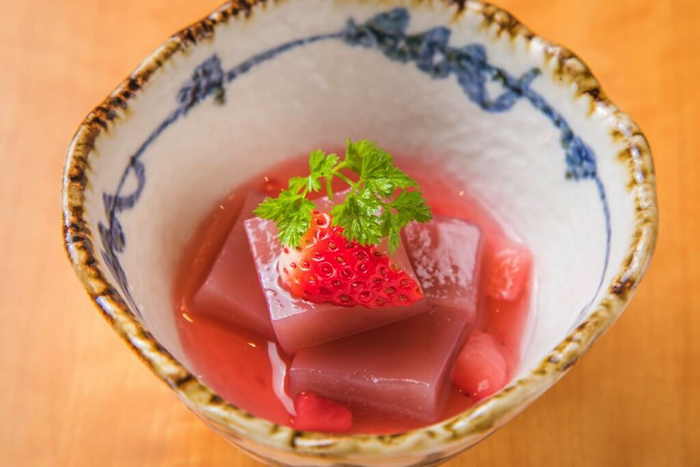 Natural food buffet restaurant “Daichi no Okurimono” in Ueno is offering an all-you-can-eat menu titled “Strawberry Sweets Fair” containing 12 dishes and desserts served with fresh amaou strawberries. 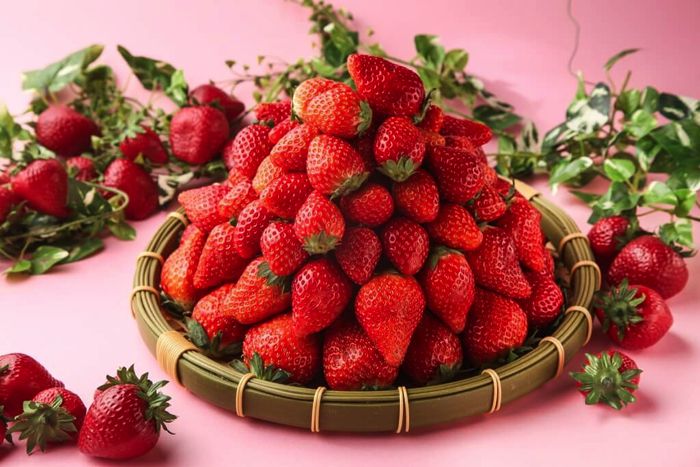 The centerpiece dish in the line-up is the “Fresh Amaou Tabehoudai,” a juicy all-you-can-eat bounty of fresh, high-quality amaou strawberries served on their own. 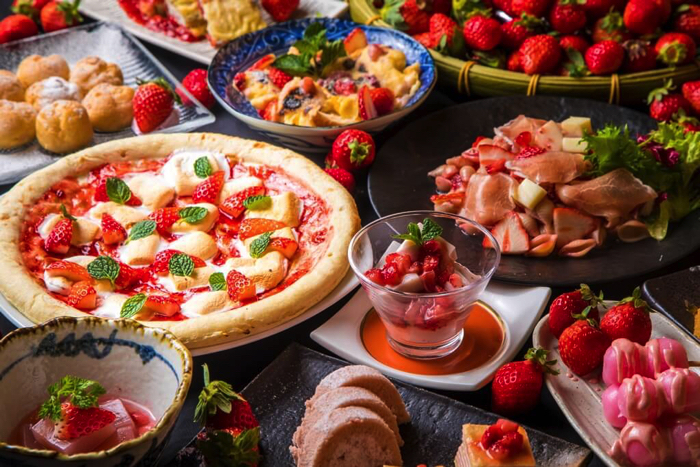 Other must-tries include the “Strawberry & Milk Sweet Pizza,” a colourful dish that will shine on your Instagram food, and the “Strawberry Chocolate Fondue With Strawberry Dango,” a thick and creamy serving eaten with Japanese sweet dumplings. Amaou are Fukuoka’s famous strawberry. 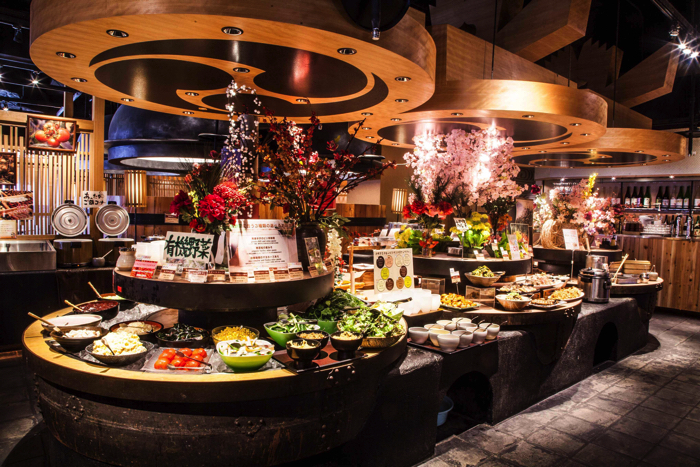 They are large and succulent, and this all-you-can-eat special gives you the opportunity to stuff your cheeks and fill your mouth with their sweet juices. If you’re on a hunt for strawberries, then look no further – have your fill with this one. 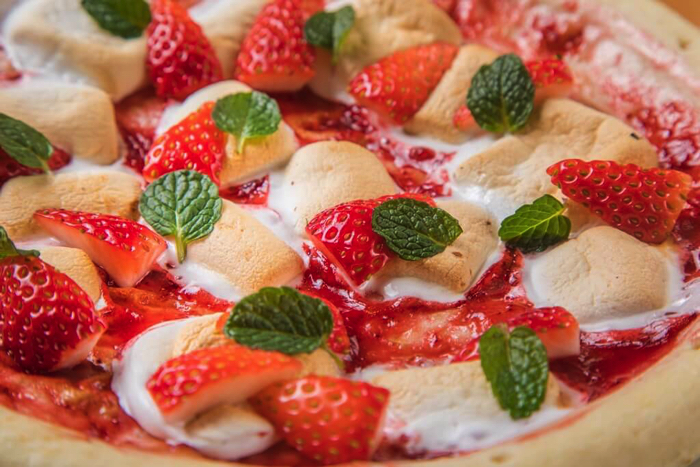 This vivid dessert pizza resembles a flower bed. The subtle sweetness of the milk and the fresh sourness of the strawberries go hand in hand. These flavours were made for each other! The exquisite sweet flavour of these sliced amaou strawberries add an accent to the fragrant and richly cooked custard sauce. This winner will be your new addiction. 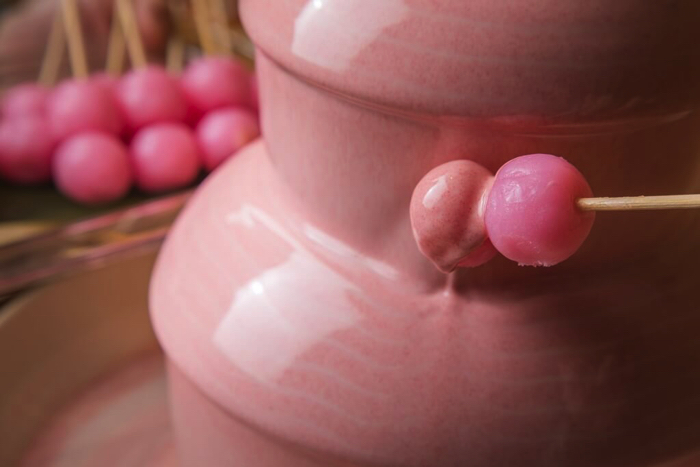 Take your perfectly spherical chewy dango and stick them into the captivating pink strawberry fountain! This is another one to document for your social feeds. 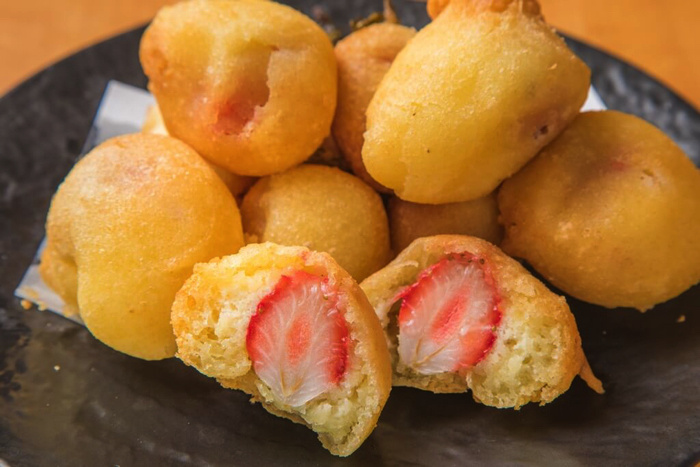 Simple yet delicious – full strawberries individually wrapped in doughnuts. Thanks to the plump appearance of the amaou, this makes for a photogenic treat indeed! 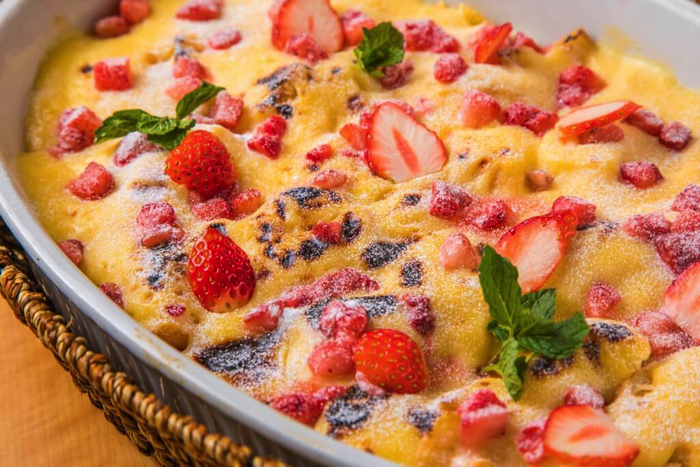 Strawberries and condensed milk – a golden combination loved by everyone. Be sure to pluck a generous dollop with your strawberry and enjoy! 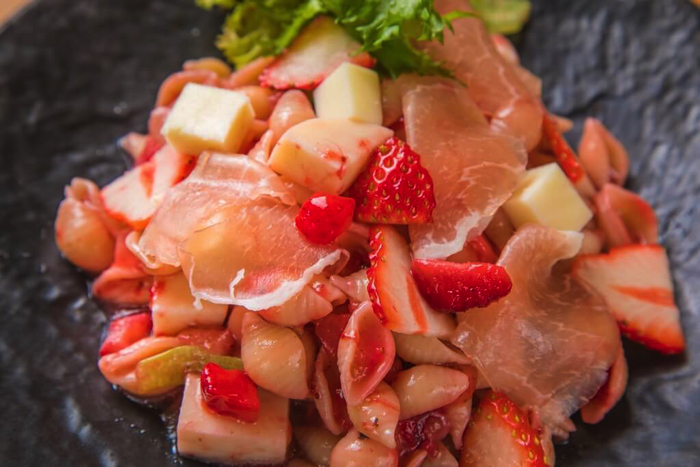 A surprising pasta dish daringly served with sliced strawberries. Your taste buds will be pleasantly surprised that you’ll want to share it with someone! *Please note that dishes may change or cease depending on ingredient availability.